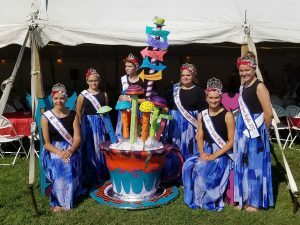 On August 19th My royal sisters and I attended the Hudson Pepper fest! 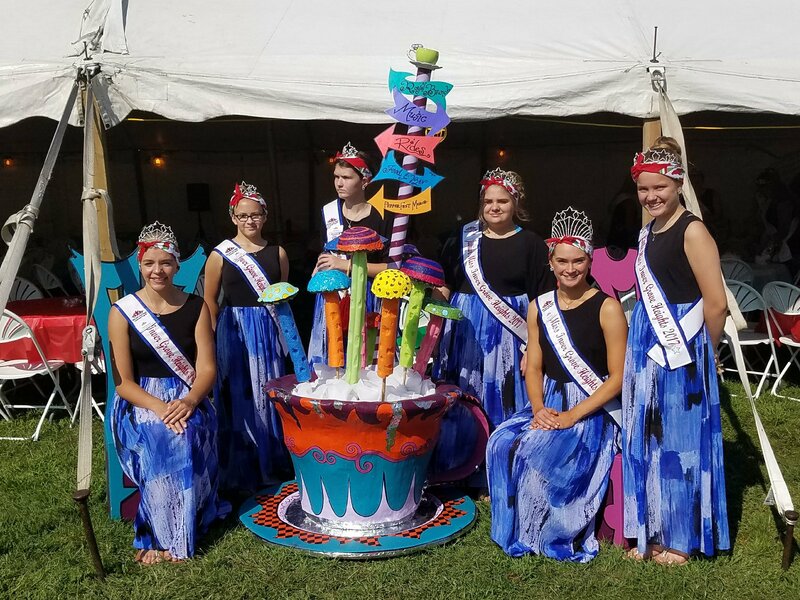 We had a cool Queens tea with other royal courts and the Winter Carnival Crew, it was a great morning, While waiting the parade and visiting the other floats, our music prompted a sing along with the Klondike Kate float and all the beautiful ladies, it was fun. After the parade we got in line for our turn at the Spaghetti eating contest, we didn’t win, but we did a great job, and our Queen Kristie managed to do it in 42 secs. We danced and laughed and got to wear cool bandanas, Great day put on by Hudson.